The Delhi High Court bench of Justice Najmi Waziri had reserved the judgement on December 20, 2018, on various petitions after hearing submissions of counsel for the CBI, Asthana, Verma, Deputy Superintendent Devender Kumar, and Joint Director A K Sharma. 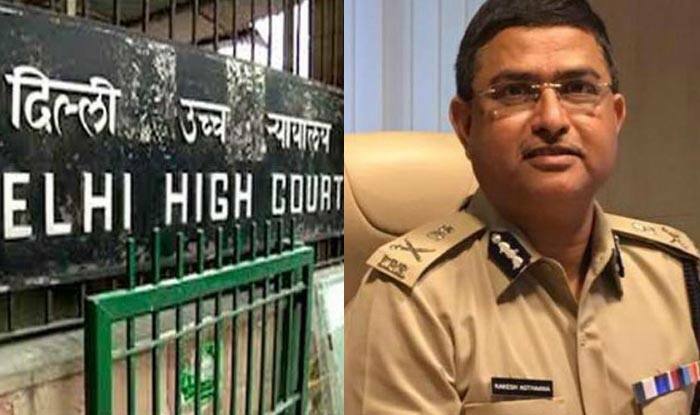 New Delhi: The Delhi High Court will pronounce its verdict on Friday on the plea of CBI Special Director Rakesh Asthana who has been charged with bribery. This comes close on the heels of the agency’s director Alok Verma’s removal from his post on Thursday on charges of corruption and negligence of duty. A high court bench of Justice Najmi Waziri had reserved the judgement on December 20, 2018, on various petitions after hearing submissions of counsel for the CBI, Asthana, Verma, Deputy Superintendent Devender Kumar, and Joint Director AK Sharma. It must be noted that Asthana, Kumar and an alleged middleman Manoj Prasad had moved court seeking the quashing of FIRs against them. The FIR had been filed after Hyderabad-based businessman Sathish Babu Sana claimed he had paid bribes to get relief in a case related to meat-exporter Moin Qureshi and made allegations of corruption and extortion against Asthana. Meanwhile, CBI DIG MK Sinha, who was supervising a probe against Asthana, recused himself from taking charge of the investigation. Thereafter, the CBI director held discussions with officers to review cases and appointed a new investigating officer, SP-ranked IPS officer Mohit Gupta, to probe Asthana. Verma resumed duties on the orders of the Supreme Court, which set aside the order sending him on forced leave, withdrew most of the transfer orders.